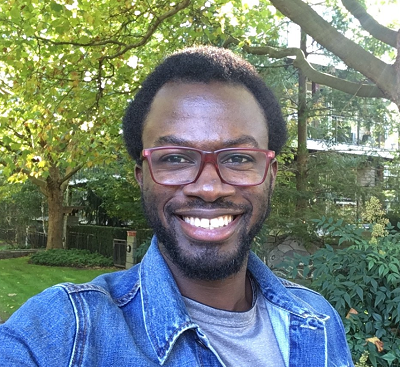 e-Agriculture caught up with the new YPARD Director Mr. Yemi Adeyeye and interviewed him on a number of issues affecting the youth in agriculture and especially in Africa. e-Agriculture: Congratulations for the appointment to Director YPARD,could you briefly introduce yourself? Yemi: First, many thanks for granting me this interview opportunity. My name is Yemi Adeyeye, a Nigerian national. My education and professional background focus on partnership relations and multi-stakeholder engagement in resources governance in the context of forest and agricultural landscapes with a keen emphasis on youth. Read more on his bio. e-Agriculture: How do you see the YPARD within the Youth in Agriculture discourse? Yemi: YPARD is a network of young professionals that are engaged in a variety of activities across the agriculture value chain. YPARD comprises of more than 17,000 members and 72 national chapters and aims at ensuring young professionals are enabled and empowered young agricultural leaders capable of shaping sustainable food systems. As a result, YPARD provides the following opportunities in relation to discussion about agricultural development. YPARD serves as a portal to reach youth who are already involved in innovative agricultural activities, who are already self-organized to collectively advance agricultural development issues that are prominent in discussion forum today. YPARD activities illustrate the attractive nature of agriculture as well as the potential for youth employment, innovations and investment opportunities. e-Agriculture: e-Agriculture advocates for the adoption of ICTs and believes that the youth could be attracted back to agriculture through technologies, what’s your take? However, we understand that technology alone is not the only key youth in agriculture but is one in a basket of many approaches for promoting the attractiveness of agriculture amongst young people. e-Agriculture: The African youths face many challenges in remaining in agriculture and making it a livelihood, what do you see as the issues and likelihood approach the developmental community should take to help young people? Issue 1: Most developmental work explores promoting agriculture amongst African youth without understanding contexts. As a result, they rarely work in collaboration with existing framework and capacities, such as through already self-organized youth groups. How to: Re-inventing the wheel and telling potential recipients of innovations “what to do and how” is not sustainable. YPARD has a network of ready-made self-organized youth in Africa. The network is particularly strong in Africa with a representation of 25 country chapters and more than 7,000 young professionals spread across different disciplines in the food systems chain. Issue 2: Many interventions to promote youth in agriculture agenda in Africa are not evidence-based. This connects to the first issue. How to: Through our network, we see opportunities for examining important issues, crowd-source evidences and context-specific stories that could inform planning and implementing youth in agricultural interventions. Moving forward, YPARD intend to capitalize on out member’s expertise by developing a set of taskforces on youth strategies, curriculum reform, foresight, among others. The task forces will in turn develop their own action plans inclusive of the possible and interesting events and well as perform a partnership mapping with related organizations on a regular basis. In addition, the task force teams will work to ensure the publishing of at least one policy brief each year. On an organizational level, YPARD also hope to start publishing, annually, two position papers with clear messages on emerging trends related to young people and food systems at global, regional or national levels. These approaches are outlined in the YPARD strategic direction 2018-2021 and we are looking forward to institutions and donors who will be happy to support us to attain these objectives. Issue 3: Migration, even with the direct and indirect danger it poses still looks more attractive than agriculture in Africa. That is, the disproportionate lack of support for youth in agriculture, as compared to other sector is still a huge concern. Existing supports are largely directed towards interventions that have youth as a subset and not integrated as a key part of the development work. How to: YPARD has examples of initiatives that are youth driven to achieve youth-related agenda. These include a just completed mentorship toolkit to advance both intergenerational and peer-to-peer mentorship in activities across agriculture value chains and food systems. The toolkit synthesizes a decade of learnings and resources from hundreds of agriculture and forestry mentoring programs implemented by YPARD and collaborator - the International Forestry Students’ Association (IFSA) and African Women in Agricultural Research and Development (AWARD) and the Global Forum on Agricultural Research (GFAR). With support, these examples can be re-created and amplified in many other countries. In general, the development community needs to build trust amongst young people, especially in Africa - which can be done by working with existing youth groups/capacities and networks to reach youth in different countries. This connect to enabling youth to have both authorship and ownership of developmental processes. This, in turn, means the youth then see that goals are shared.